Heather joined Dostal & Kirk in March 2011. She has lived in Bucyrus most of her life, and graduated from Bucyrus High School in 2004. 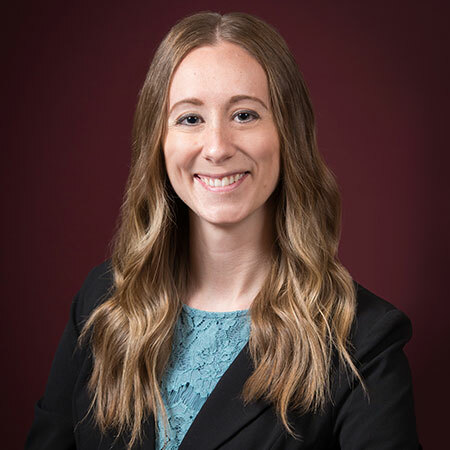 After high school, Heather went on to attend The Ohio State University and in June 2010 earned a Bachelor of Arts degree in Behavioral and Social Sciences. After joining the agency, Heather became a licensed agent in April 2011. She is currently responsible for handling commercial lines business as well as office administrative duties. In addition to her professional work, Heather participates as a classroom volunteer in the Junior Achievement program at Bucyrus Elementary School. Heather and her husband Phil have a daughter, Braylee and a son, Elliot. Monday - Friday 8:30 a.m .- 5:00 p.m.
Securities and advisory products offered through Principal Securities, Inc. 800/247-1737, member SIPC, Des Moines, IA 50392. Jeffrey A Kirk, Michael D. Dostal & Steven M Devlin, Financial Representatives of Principal National Life Insurance and Principal Life Insurance Companies. Principal Securities Registered Representative, Financial Advisor. Dostal & Kirk, Inc. is not an affiliate of any company of the Principal Financial Group®.